The expert will examine your lips situation and defect then based on knowledge and experience, the expert will consult customers with appropriate color that match face beauty, the skin and lips shape. The expert will sterilize and scrub the lips carefully. Then the expert applies non – chemical anesthetic. After blending ink, the expert start implementing with super small needle. At this stage, the expert has to be careful and sophisticated to blend ink accurately, and make the lips color smooth, shine and beautiful. Night time: Use “Lip Sleeping Mask” of Laneige or other brands that have the same uses. Eat fruit such as orange, pineapple, grapefruit, coconut, tangerine to supplement vitamin for quick healing. 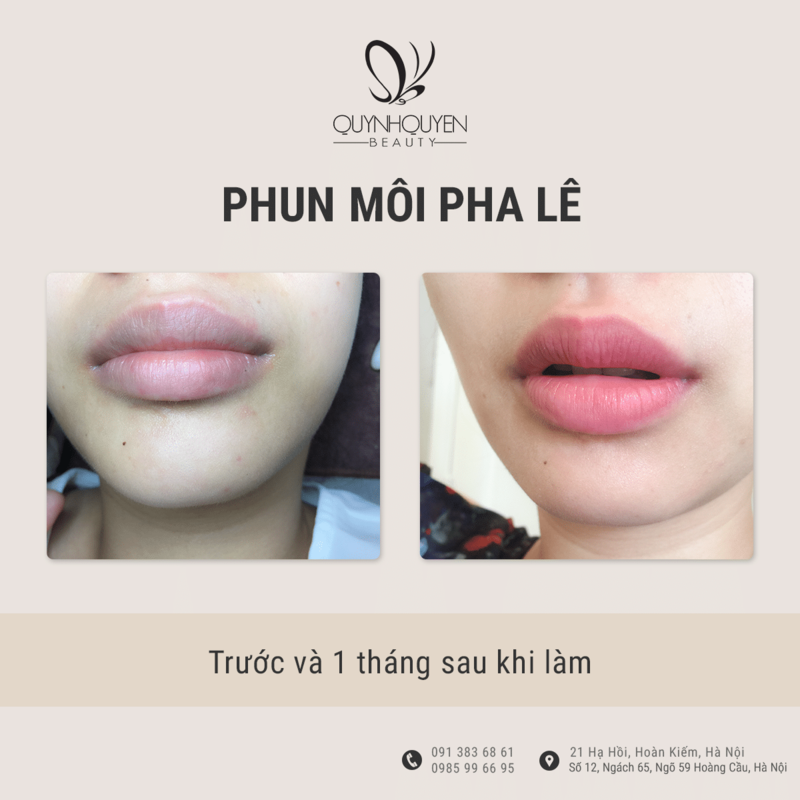 By compliance process and sophisticated skill, QuynhQuyen Beauty assures 100% customers will be satisfied with our services and the result. 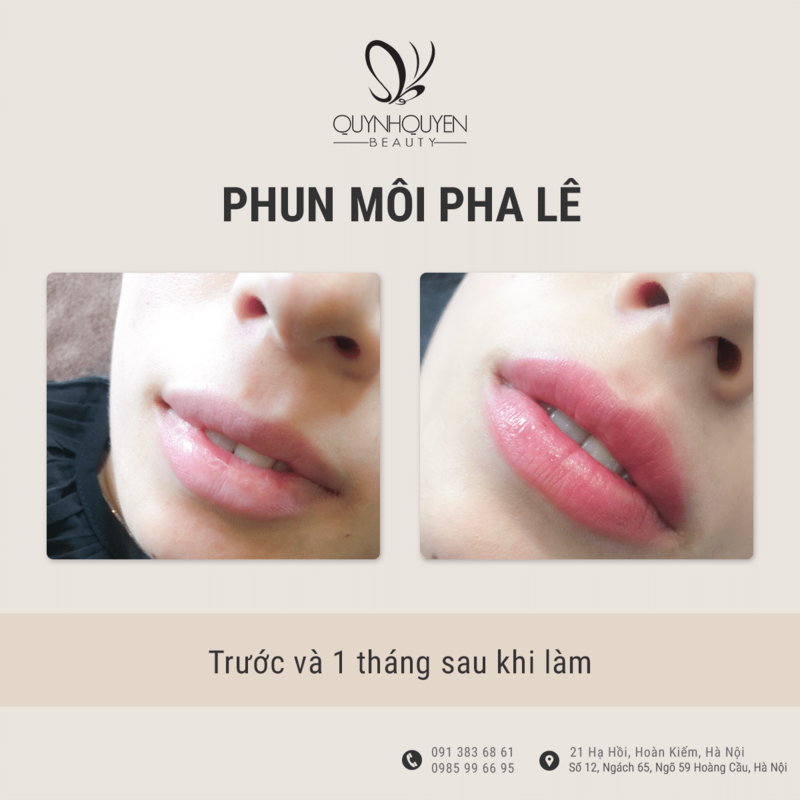 Come to QuynhQuyen Beauty to have glamour lips.